Built in 1891 and long known as the grande dame among Island hotels. The Harbor View Hotel, a shingle-style turn-of-the-century hotel that graces the entrance to the Edgartown harbor at Starbuck's Neck, is set for sale to a Nantucket-based investment group, along with the Kelley House, an 18th century tavern that is now a pub and inn complex spanning Water and Dock streets. The properties represent a significant piece of downtown real estate in Edgartown, as well as two of the best known resorts on the Vineyard. Purchase price for the two hotels has not been disclosed. Town assessors valued the properties this year at more than $34 million. Parties on both sides have signed a purchase and sale agreement, and said they expect to close on the deal by the end of the year. The prospective buyer is Scout Real Estate Capital LLC of Nantucket. The seller is a subsidiary of Boston-based First Winthrop Corporation, one of the nation's largest real estate companies, which bought the hotels in 1989 at a foreclosure auction for $13 million after they had fallen into hard times under previous ownership. Scout Real Estate principal Alan Worden said yesterday that his company plans to make significant aesthetic improvements to the hotels and upgrade the overall level of service. The Harbor View will remain open year-round, he said, and will retain Richard McAuliffe as general manager, a position he has held for more than a decade. Mr. Worden said he expects work on the properties to begin this winter, as soon as the sale is complete. "The Harbor View and Kelley House are spectacular properties, and in certain cases wonderful examples of shingle-style architecture. We view them as irreplaceable assets, incredibly well located," said Mr. Worden, a Massachusetts native and former architecture student. "The goal is to preserve the best architecture there and enhance it." Demonstrating an affinity for Islands, Mr. Worden this year also purchased a premier resort in Bermuda, which is set to undergo a $200 million renovation, and boasts of 6,000-acre investment on the Big Island of Hawaii that is slated for upscale, large-lot residential development. He spoke to the Gazette yesterday by telephone from Bermuda. On Nantucket, where he moved in 2003, Mr. Worden is president of Windwalker Real Estate and principal of The Westmoor Club, an 18,000-square-foot spa and fitness center that opened in 2005. "We cater to the affluent, leisure-focused baby-boomer consumer who wants to have a great vacation," said Mr. Worden, an avid sailor who is also involved with a nonprofit community sailing club on Nantucket. Home to 130 rooms and the high-end Coach House restaurant, the Harbor View Hotel stands sentinel at the end of North Water street, overlooking the Edgartown lighthouse. The Kelley House complex - which includes a series of buildings bounded by Kelley, Daggett, North Water and Dock streets, but excluding the Anchors, which is owned by the town and used as a senior center - features 60 guest rooms as well as the popular Newes from America pub. Both hotels are filled with Vineyard history. 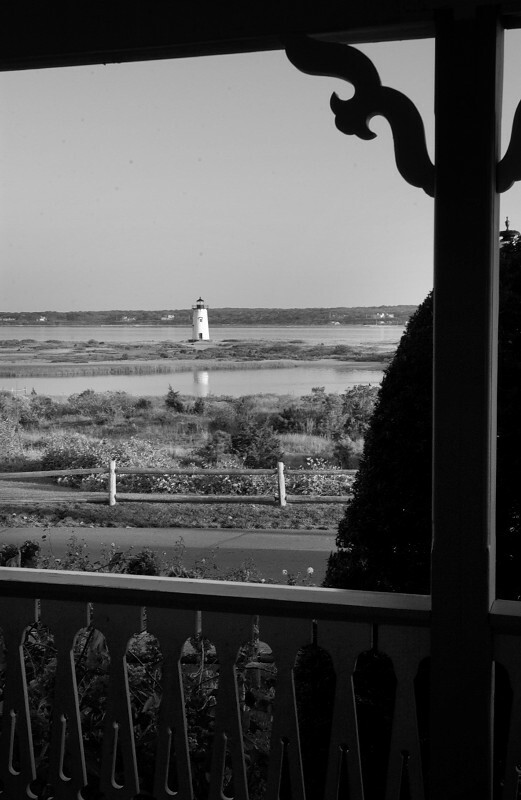 In its heyday the Harbor View was known as the grand dame among Island hotels, where well-heeled New Yorkers came to stay for the summer, eat their meals on the American plan and while away the days on the broad veranda overlooking the unspoiled sweep of outer Edgartown Harbor across to Cape Pogue. Originally a tavern, the Kelley House dates back to 1742 and served as a downtown gathering place during the American Revolution and years when Edgartown was a vibrant whaling port. The Harbor View ushered in a new era for the town when it opened in 1891. Founders were Dr. Thomas Walker, a leading physician in Edgartown, and Luther T. Townshend of Watertown, a summer visitor. Each pledged a subscription of $5,000 to raise capital for the construction of the hotel, which was faced with 100,000 cedar shingles imported from New Brunswick. "The project caught the imagination of the public as nothing had done since the launching of the Martha's Vineyard Railroad," late Gazette editor Henry Beetle Hough wrote years later. The hotel boasted the most modern conveniences of the day, including piped-in gas and a telephone line running to the livery stable. But despite its magnificence, the hotel was not an immediate success and was soon offered for sale under the terms of its mortgages. Small investors were wiped out, but Dr. Walker and Mr. Townsend stayed the course, taking over the property. Changing times and the loss of patrons who had become part of an older age group led to the sale of the hotel in 1949 to a group headed by the late summer resident Cornelius Lee, with Edgartown real estate maven Alfred Hall as managing director. Mr. Hall presided over a large renovation and became the controlling owner of the hotel. Under Mr. Hall's ownership the hotel became a member of the Treadway Inn chain. 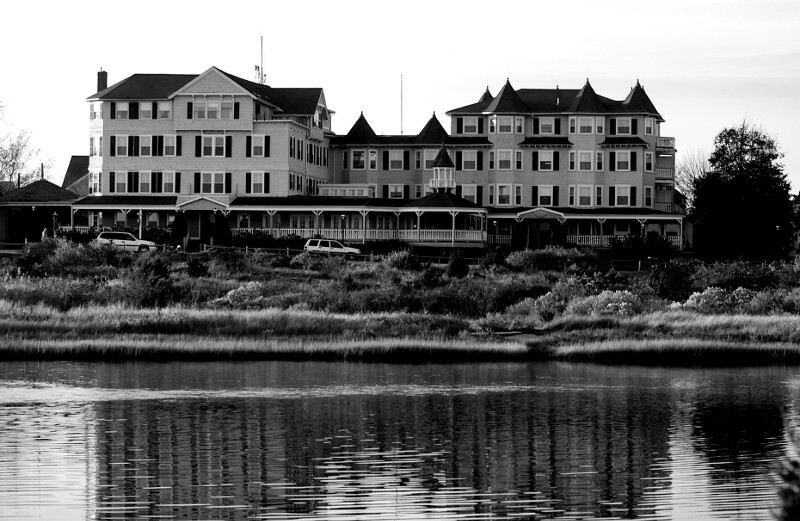 In 1965 the hotel was sold to Edgartown businessman Robert J. Carroll and state Sen. Allan F. Jones of Hyannis. Mr. Carroll later added the Kelley House complex to his personal holdings in 1973. In 1986 Mr. Carroll sold his interest in the two properties to Robert Welch and Stephen C. Jones, the son of former Senator Jones. The sale included a provision for a lifetime lease for Mr. Carroll on the penthouse apartment in the Harbor View, where he still lives today. Two years later both Vineyard hotels were in bankruptcy and slated for sale at foreclosure auction. The Cape-based business group - led by the Joneses and Mr. Welch - owned several hotels, Gull Air and a golf course around the region, but went belly-up after the airline failed in 1987. It was a tumultuous time for the hotels. Mr. Carroll and Senator Jones fought a decade-long battle over plans to fill wetlands on the lighthouse side of North Water street for private homes and a tennis court. The pitched fight, which played out at town board meetings and in federal courts, ultimately ended in 1984 when a longtime summer resident bought the land in question and gave it to the town for protection. Harbor View owners also filed two libel lawsuits against the Gazette, in 1976 and 1988, claiming that newspaper articles about a possible sale and pending foreclosure damaged their reputation, but both cases were dismissed. First Winthrop Corporation in the spring of 1989 acquired the two hotels and adjoining properties with a winning bid of $13 million at a foreclosure auction. The purchase came only a few years after the Boston-based real estate giant bought more than 160 commercial properties in downtown Nantucket. Coincidentally, Winthrop last year sold off nearly all of its Nantucket holdings to another high-end resort investor, Stephen Karp, for a total of almost $75 million. Winthrop put the Harbor View and Kelley House properties on the market early this summer. The principal who represents the company in the current negotiations, Peter Braverman, said he held a great fondness for the Harbor View, but felt it was an appropriate time to sell the investment. He also spoke highly of Mr. Worden and his Nantucket-based investment group. "We feel we're selling it into very capable hands that will continue its management and leadership in the community," Mr. Braverman said from his New York office. Mr. Worden said liquor license transfer applications are set to go before Edgartown selectmen this month. He plans to keep the Coach House open year-round, and said the restaurant would continue to use local produce and other Island-made products on its menu. "My company is very focused on sustainability and the environment, and we have already begun to work with the neighbors and the town," he said. As far as structural changes, Mr. Worden said he expected that the 1960s motel-style unit added onto the Starbuck's Neck side of the Harbor View and the newer Garden House at the Kelley House complex will be torn down. He also expects the overall number of rooms on the properties to be reduced. "Consumers today want larger, nicer rooms," he said, adding: "The 1742 building at the Kelley House is clad in vinyl - that has to go."